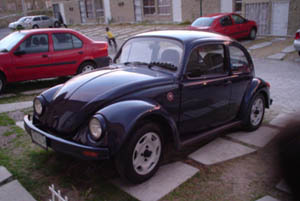 It's while searching for some infos about the 1995 jeans beetle that I discovered the 2000 model named "Jeans Edition". It's produced to the Puebla factory and is destined to the Mexican market. 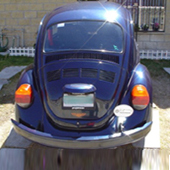 This Jeans beetle is completely covered with the beautiful Baltic blue with the exception of the exterior mirror and the windows frame. 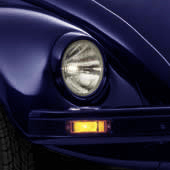 The bumpers are underlined of a black stripe. Only a small sticker "Jeans Edition" surrounding the alarm contactor signals the special edition. 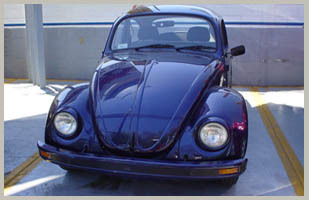 Mechanically, Jeans 2000 are similar to the rest of the production and the motor is a 1600 injection. 1000 (*) Jeans Edition were built. 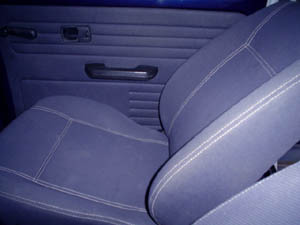 Jeans cloth upholstery and blue doors panels. 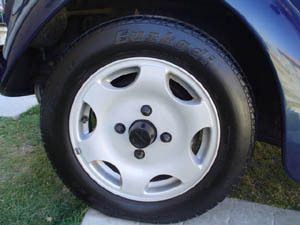 Brakes: Dual-circuit brake, disc brakes on the front wheels. Electricity: 12 volts, with alternator. 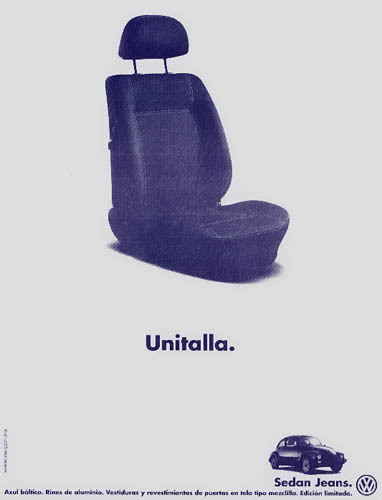 Advertisement "Unique size" for the sedan Jeans 2000. 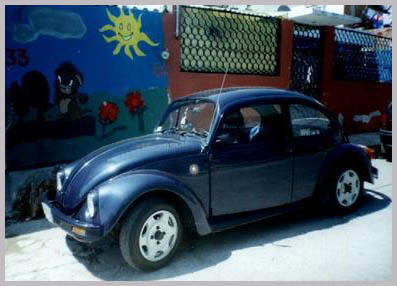 Special thanks to: Yuri Ayala "Jeans Edition", Francisco "Xolotx" and "Mr Kitch" of the Vochoclub forum. Thanks also to the Mexican community of the Vochoclub for the help. Muchas gracias amigos! Gracias a Yuri Ayala "Jeans Edition", Francisco " Xolotx" y "Mr Kitch" del foro del Vochoclub. Gracias tambi�n a toda la simp�tica comunidad mejicana del Vochoclub por su acogida. � Muchas gracias amigos!